Built on the site of a Norman Church, this a great church of the 14th century, Decorated period, where all the nave windows have been altered in the Perpendicular period. It contains the most marvellous chest which has survived from the Decorated period and has been used to preserve usefull documents of the people of this parish. The local carstone has been used to build this church. The S porch is entirely 15th century, Perpendicular period, with a big entrance doorway and tiny trefoil windows, E and W. The 4 aisle windows and 6 beautiful clerostory windows on each side are all late Perp, but the walls are basically earlier as can be judged by the N and S period doorways. Of particular architectural interest to the visitor are the ancient 14th Century walls, windows, stained glass, squint, the Gothic pointed arches, handsome tower with six bells, headstops - with a variety of shapes and faces - poppy head pews and octagonal columns. The front, church chest and gilded rood screen, along with the sedilia and piscina, are all Medieval. The are considered special. Saint Nicholas Church originally a rectory, was a gift of Peter de Valognes, who came over with the Conqueror William. The present church was built on the site of a Norman church. 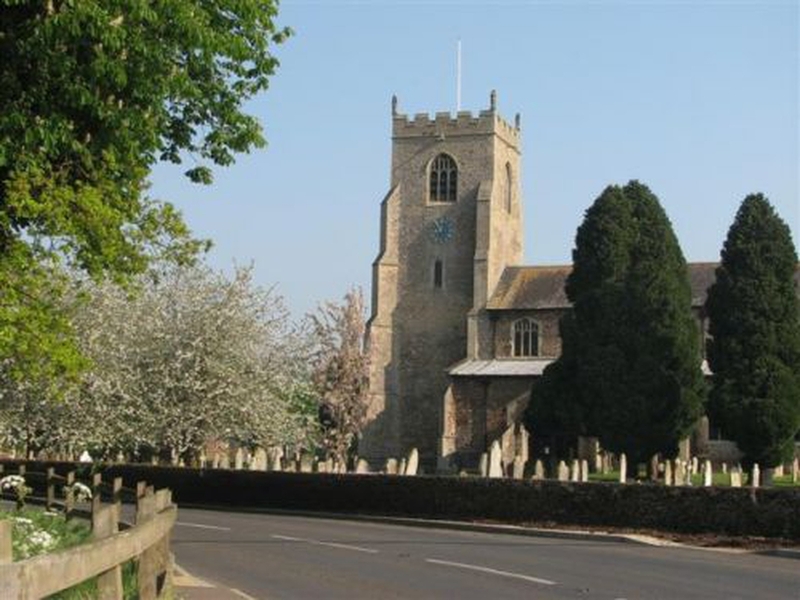 Whether an Anglo-Saxon church preceded the Norman church on this site is open to conjecture, but it is known that in the 7th Century Saint Felix introduced Christianity to this area via Babingley and Shernborne. Saint Felix may also have visited Dersingham.